Keep position of special importance for revolutionary movements throughout the country to the capital of Hanoi has many historical relics, revolutionary war, in which many houses revolutionary history. The house is associated with the glorious feat of arms of national . 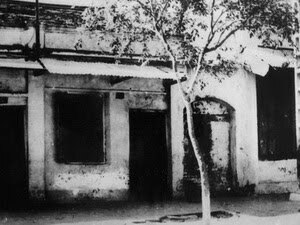 End-March 1929, who advanced in the regional party headquaters of North and provincial committee of the party of Hanoi included Mr. Ngo Gia Tu, Nguyen Duc Canh, Nguyen Phong Sac, Tran Van Cung … met at the 5D of Ham Long street to establish a Communist party. Mr. Tran Van Cung like Quoc Anh, was appointed secretary, Mr. Nguyen Phong Sac separately because you work so unexpectedly absent but still be recognized as official members. The first Vietnam party cell established in Hanoi is an important victory of the proletarian ideology in the struggle with the non-proletarian ideas and trends of other countries. In the second General Assembly of North (28-3-1929), advocates the establishment of the Communist Party was warmly endorsed. But the National Youth Congress meeting in Huong Cang (China) from 1-5-1929, proposed the establishment of the Communist Party of Northern by Mr. Ngo Gia Tu led that the Youth central committee removed. Soon after, Northern put out, convened the meeting at Huong Tuyet lane of pagoda (Bach Mai) to discuss promoting the establishment of the Party. 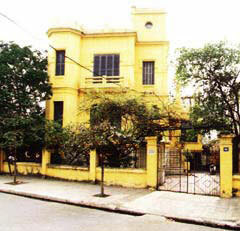 On 17-6-1929, at house number 312 Kham Thien, Indochinese Communist Party was formally established. The main outlines and Manifesto published. Newspaper hammer and sickle, the central bodies of the Party and mass organizations of the Party also appear in Hanoi. The house 5D Ham Long has a floor, roof tile, bordered on one side of no. 5C, a small side alley to Le Van Huu street. The main location has helped to secure comrades of the Party. The house is kept as the 5D is displayed by the Museum of Hanoi, the furniture in the house same the time before. Aea and surface remain unchanged. It previously called King Le road or Bo Ho road, in the rural parts of Khanh Thuy, Tu Thap, Phuc Pho, To Moc. All these villages are under the Tong Tien Tuc, old Tho Xuong district. Relics of No. 8 in Le Thai To street today should no longer then define date construction of houses is not specific. But because this is the home of tribunal president Court of law – Court appeals Moocse (Supreme Court of France in Hanoi) should have guessed it dating the same time as building the house of the Supreme Court in Ly Thuong Kiet street, at 20 years of the twentieth century. Relics No. 8 in Le Thai To street look out Hoan Kiem lake – the center of Hanoi. Ancient relics in the area of 2.000m2 was architect designed villa in France with eight rooms, two spacious floors. As revolutionary history, on 24/08/1945, Uncle Ho from the Viet Bac revolutionary base to Hanoi and live in the house number 48 Hang Ngang street But after a time, to ensure safety and Uncle had moved to No. 8 Le Thai To in the early days of independence day. Here, the Central Government has many major policy decisions such as preparing for the first general election in Vietnam, increased production famine relief, kill the ignorant enemy, against traitors, against conspiracy to of the French colonialists. Though the house No. 8 Le Thai To street was crushed French colonists fired on first national resistance (January 12-1946), but still carry great significance in the history of Vietnam’s revolution. House No. 90 Tho Nhuom street formerly the private home of a residency named Duyo. In 1930, Tran Phu from the Soviet Union to return has been allocated in the basement with place where cooker and waiter lived. Here, Tran Phu was a draft version of the Party’s political thesis. With this document, the workers and people of Vietnam has made a revolutionary political program reflects the objective law of Vietnam society at the time, to meet the urgent demands of history. In 1980, in commemoration of 50th anniversary of the Party General Secretary Le Duan visited and inaugurated the statue of Tran Phu. Bronze bust placed in the courtyard garden of the house. Currently, the basement which was arranged as the period of General Secretary Tran Phu work here. street address 90 Tho Nhuom has become the memorial house..